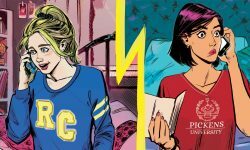 Home Posts tagged "betty and veronica"
Friendships are put to the test in BETTY & VERONICA #2! 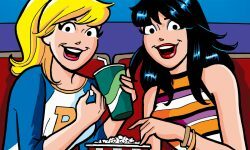 “I’m so glad we made this plan…” Senior Year continues for Betty and Veronica but the two best friends find themselves growing apart because of their new hobbies, interests and a couple of unshared secrets! 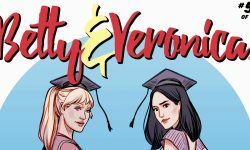 Betty and Veronica are going where they’ve never gone before—their senior year of high school! 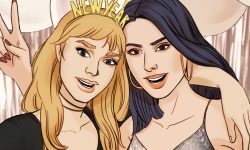 Only one school year stands between them and freedom, but the two must confront an important issue: what’s going to become of their friendship once high school is over? 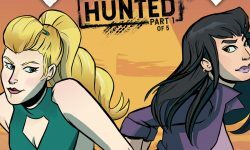 HUNTED begins in BETTY & VERONICA: VIXENS #6! “We won’t be found out.” The Vixens are being followed by a sinister former foe, but he claims to come in peace! Can he be trusted? Meanwhile a young woman’s mysterious disappearance has the Vixens’ question if their actions are having unintended consequences. 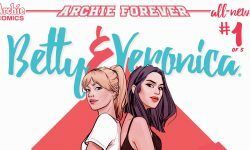 Classic-style Betty and Veronica stories return to comic shops in this advance preview of BETTY AND VERONICA FRIENDS FOREVER #1! 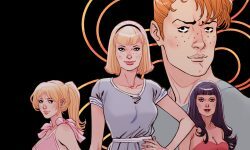 Watch the launch trailer for BETTY & VERONICA VIXENS #1!